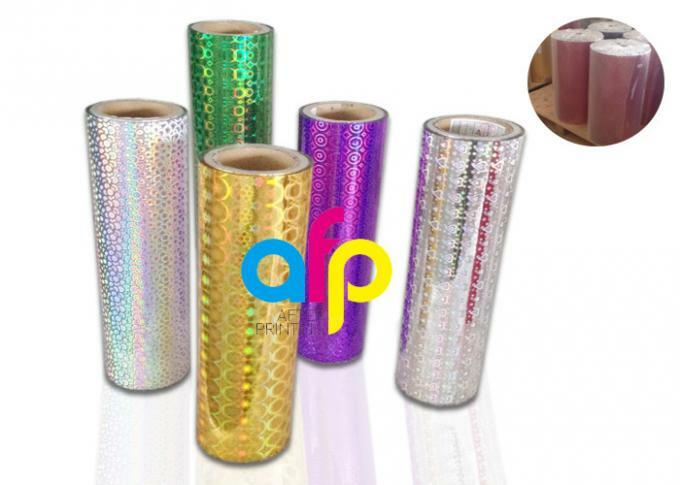 There are 2 kinds Transparent Holographic Lamination Film, one is Cold Transparent Holographic Lamination Film(without glue), the other is Thermal Transparent Holographic Lamination Film(with EVA Glue). So far there are over 180 patterns, and customized pattern is avaliable. Appearance: transparent, silver, metallic colors. What is Laser Holographic Film? Laser holographic film is using hologram technogy to film,and with a diffusion for a time sufficient to modify the wavelength of light response by the hologram. Laser Holographic Film offers even coating, clear images, bright color,good adhesion and effect, etc. electronic shielding bags, explosion-proof film of car windows, building decoration and so on. matte colorful packaging film, sealable holographic packaging film,hologram hollowed-out film as well as holographic anti-fack label. 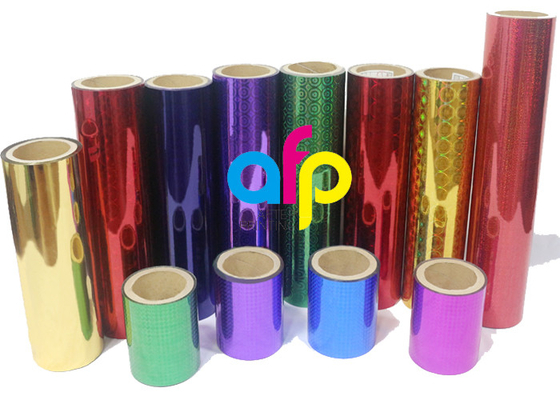 Our Holographic Thermal Laminating Film holds more than 180 patterns. Patterns based on both transparent and metalized, the latter holds silver or colorful effect which means a specific pattern can be produced based on various different colors. 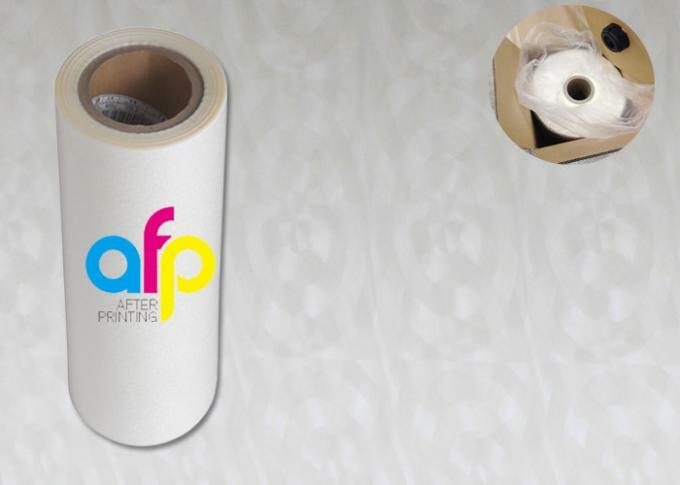 the pattern from our producing line never fade and well applied to lamination and packaging. it provides brightness and luster effect for enhancing elegance to various substrates. 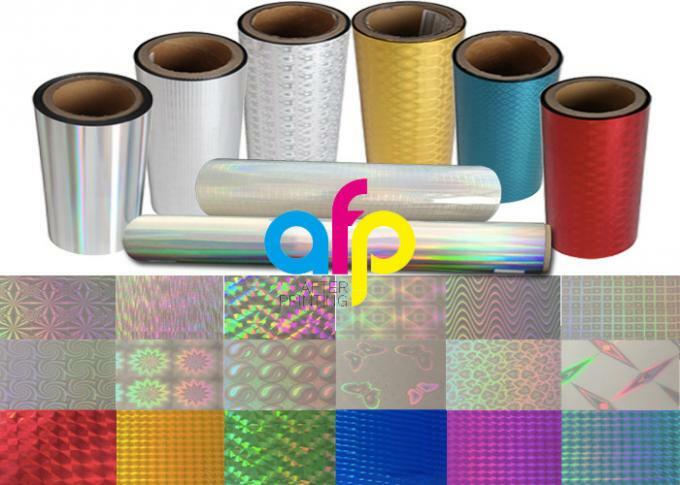 Where is Holographic Lamination Film used? Books, Posters, Presentation Folders, Labels, Shopping Bag, POP Signs, Document, Book Covers, ID Cards, License, Antigraffiti, Boardmaking, write on/wipe off Calendars, Photographs, Albums ect. Outside coating for wrapping box or bag for food, cosmetic, gift, liquor etc. Drawing paper, documents, advertisement, digital printing, show board, etc. For further information, please kindly contact us, thanks.